Choosing a summer camp for your child is a big decision. Here are some key reasons why Skylake is a summer camp you can feel comfortable with while being certain your kids will love it. Accredited by the American Camp Association for over 50 years. Guarantees compliance with 300 accreditation standards. The Tradition of Skylake Magic. Over 70 years of traditions. Skylake looks, feels and functions like a story book camp. Skylake offers a dream location in the mountains, on a lake, with the grandeur of Yosemite at its back door. Getting to camp is easy. Skylake is located in Wishon, California, almost equal distance between Los Angeles and San Francisco in the Sierra National Forest. We offer charter bus service from both northern and southern California and provide complimentary pick up at the Fresno Yosemite International Airport. Jeff Portnoy has been the owner/director since 1995. The Co-Director Adrienne Portnoy-Durgin was a camper and then counselor in the 80's and 90's, and has pure Skylake in her heart. The staff to camper ratio is one of the most reliable indicators of the care and supervision that will be provided to your child. 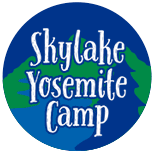 Skylake normally has 70 camp counselors and counselor/administrators for 210 campers. There are an additional 25 employees filling cook, kitchen, housekeeper, and nurse positions. Skylake provides open enrollment for all of our scheduled activities, special events and for out of camp excursions. See a typical day at Skylake. We truly believe that Skylake provides the best summer camp food in America. Learn more about Skylake food. Do the Kids Come Back? The big question is: “Do the kids come back?” Camper return rate is the most telling of all qualities. Skylake has an incredibly high return rate, averaging over 65% in all of camp. In some of the older girl cabin groups we exceed 80% of the girls returning and provide a window of time where only returning campers can enroll to guarantee them space in camp. Skylake is a summer camp kids never outgrow. "The magic is in the profound and real experiences and friendships that we create and share in common with our fellow Skylakers that stick with us for the rest of our lives. Combine a beautiful place with great people and wonderful experiences and that 'something Skylake extra' and you have magic." " Skylake Magic is the feeling of waking up in the morning and going to bed at night knowing that you wouldn't rather be anywhere else than 37976 Road 222. Skylake Magic is what gets you through the long winter days in between summers, and keeps you looking forward to Shasta Call, moonlight over Skylake, and even the swim trail every single day. Every summer I attended Skylake was a unique one, yet they all blend together into one of the happiest memories I have ever had."